I was able to scan an original manual for CMU-800 / CMU-800r which is awesome piece of history and expalins how Apple ][ app works. It's here. 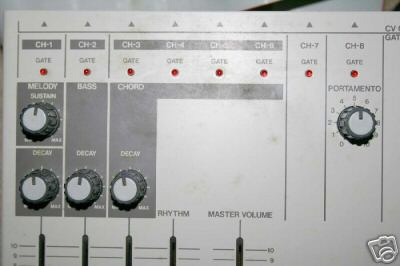 The CMU-800 is one of unique and rare module that was produced by Amdek and then by Roland in th past. 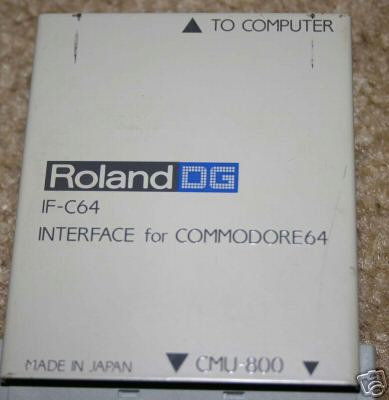 It's a medium-sized, off-cream metallic wedge, with a barrage of jacks on the back and a bare minimum of knobs on the front. It also sported this ruddy great ribbon cable hanging out the back!